BRYAN EATON/Staff photo. 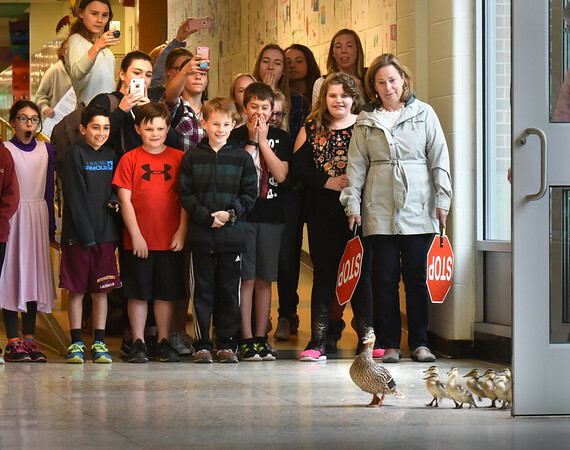 Nock Middle and Molin Upper Elementary students with staff watch as a mother duck and her 13 chicks leave the courtyard at the school and head down the hallway. Once outside, the staff guided them along and stopped traffic on Low Street in Newburyport where they headed to the pond the mother calls home.